Sinn Fein is to publish a motion of no confidence today. THE GARDA COMMISSIONER will make a statement at 3.3opm today in relation to issues discovered with breath test records and fixed charge notices. Nóirín O’Sullivan said she will update the media about the current scandal which has, once again, put pressure on her position. Meanwhile, Sinn Féin will publish a motion of no confidence in her ability to do the job after recent revelations. Yesterday, Fianna Fáil said it had withdrawn its support for O’Sullivan’s leadership of the force. Party leader Micheál Martin called on O’Sullivan to consider her position. Sinn Féin’s move will mean a non-binding vote on O’Sullivan’s position will be held in the Dáil. Speaking today on Morning Ireland, the party’s deputy leader Mary Lou McDonald confirmed the vote would be held next week as the party doesn’t have private members’ time this week. The situation in the gardaí had become “farcical,” the Dublin Central TD said. The force was lurching from one crisis to another, she said. “I can’t imagine how it must feel to be a garda on the beat,” McDonald said. 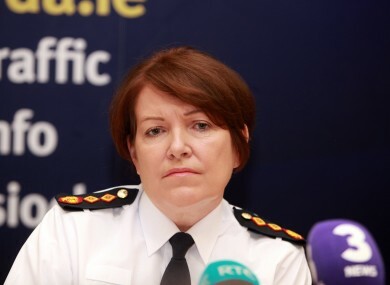 The current crop of questions over O’Sullivan’s position come following revelations that gardaí had recorded more than a million breath tests that never took place over a five year period. It was also revealed that 146,856 summonses to court were wrongly issued to drivers over the past 10 years. O’Sullivan has said that processes have been put in place in an attempt to prevent the problem arising again. These assurances have not, however, stopped increased political pressure on the leadership of An Garda Síochána. “We need detailed explanations,” from the Commissioner on the subject of what went wrong in the force, and how such systemic failures were allowed to happen, said McDonald. There’s speculation the Commissioner could be called before the Oireachtas justice committee on Wednesday to answer questions on the controversy. Email “Political parties are piling in on Garda Commissioner Nóirín O'Sullivan”. Feedback on “Political parties are piling in on Garda Commissioner Nóirín O'Sullivan”.